Founded by Spanish explorers in 1565, St. Augustine, Florida is very rich in culture and history. In fact, it is the oldest city in the USA. What I was most in awe about St. Augustine is that it has kept its Spanish influences all over the historic colonial district. It really feels like you’re not in the US anymore. Did you know? 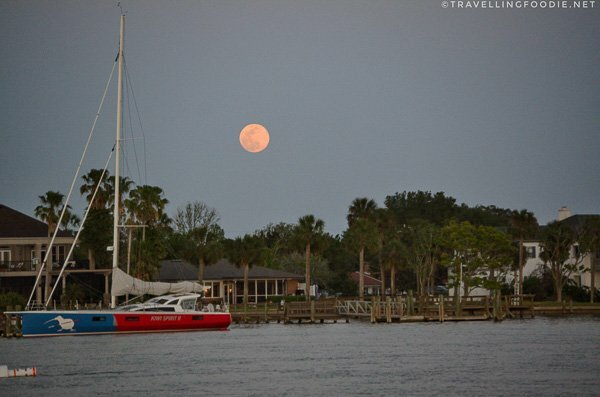 St. Augustine is listed as one of The Most Beautiful Towns in America by Condé Nast Traveler. I’m originally from the Philippines, which was colonized by Spain, so I kind of felt I was back there as I strolled thru the historic district. 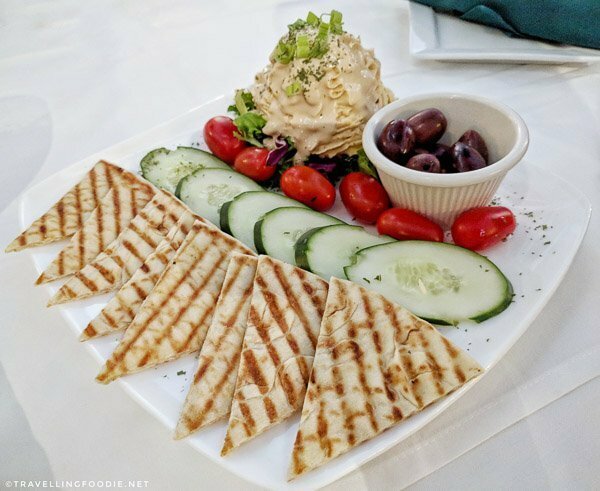 With over 450 years of history and diverse cultures, and being along the coast, there is so much to love about the food scene in St. Augustine! 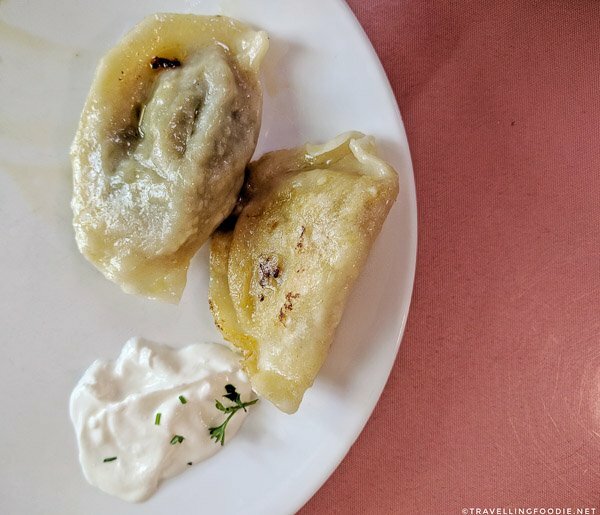 One thing you’ll quickly realize is most of its culinary aspect has a bit of travel aspect involved whether history, sight-seeing, or nature! 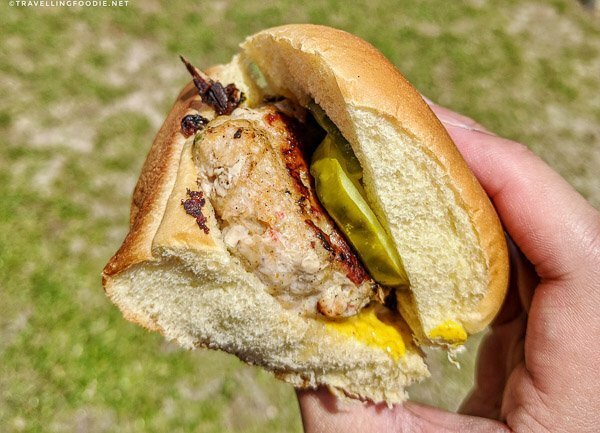 Here I’ve broken them down into 12 things based on my 3-day visit to Florida’s Historic Coast! 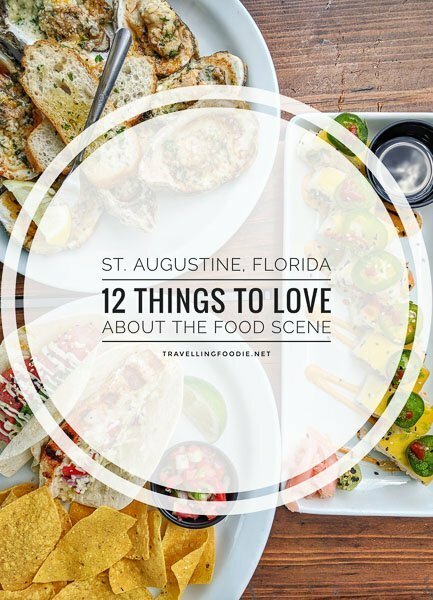 This includes some of the best restaurants and things to do in St. Augustine! For three nights, I stayed at the Marker 8 Hotel & Marina, which has awesome views of the marina and Matanzas Bay. The hotel is also conveniently situated a good 10-minute walk to historic downtown across the Bridge of Lions. – Eat: Complimentary made-to-order breakfast is at the second floor dining room. Both indoor and outdoor dining has awesome views. 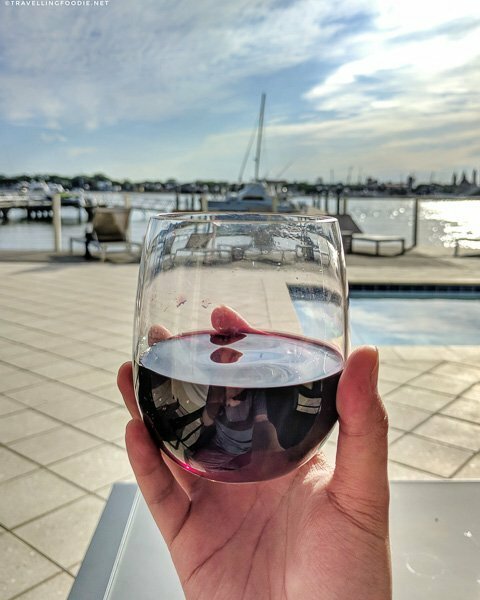 – Drink: Complimentary wine at the first floor bar during social hour for each night of your stay. The bar is adjacent to the outdoor pool and lounge, with windows overlooking the marina. – Swim: The outdoor pool and lounge is right by the marina and river. – Sleep: The 26 guestrooms all have either a patio or balcony (depending on the floor), all of which overlooks the river. All about that salt life? 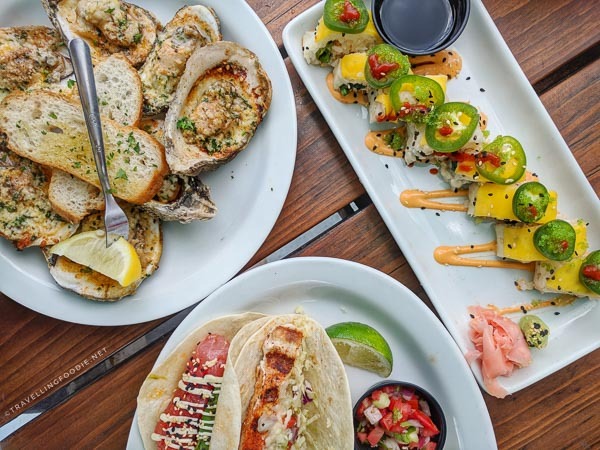 Salt Life Food Shack lets you eat, drink and be salty while enjoying the views of St. Augustine beach. Did you know? The term Salt Life was originally a phrase used on a spearfishing trip, but is now widely used for everyone who loves the beach life culture. They serve an eclectic menu ranging from seafood dishes, to sushi rolls, to burgers and street tacos. The restaurant’s casual open air-space makes you feel close to the beach. 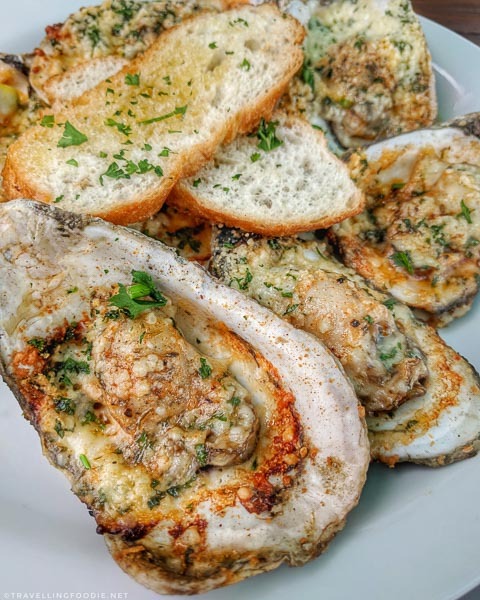 If you love oysters, I highly recommend the grilled garlic parm oysters. 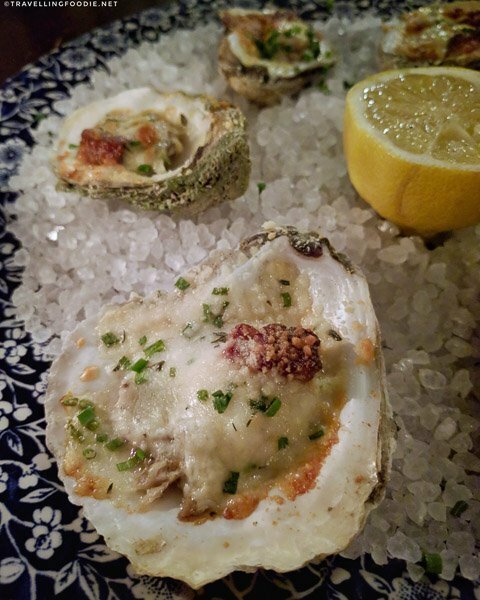 It’s a half dozen fresh oysters, chargrilled in garlic butter sauce then topped with parmesan. It’s not something you find most of the time for oysters. I also really enjoyed the poke tuna taco. With poke becoming such a trend, I’m quite surprised it’s the first time I’ve seen poke taco. The tuna was really fresh and buttery complimented with the right amount of sesame soy dressing and wasabi cream that doesn’t overpower the tuna. Travelling Foodie Tip: They offer free rides to the shack if you live, or are staying, within parameters around the shack. My favourite meal in St. Augustine was at Preserved Restaurant, one of the area’s newest and best restaurants. 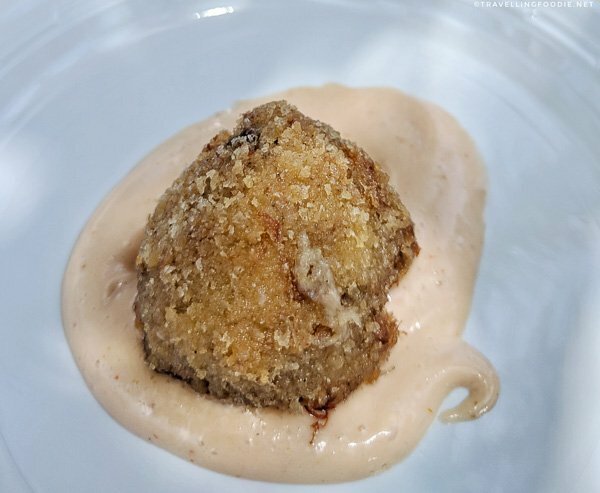 Owned by 2015 James Beard nominee and Executive Chef Brian Whittington, Preserved features Southern cuisine that showcases local farmers in one of the oldest houses in historic Lincolnville built between 1865-1885. Did you know? The restaurant is named Preserved because they have preserved the original structure of the house, even tearing down everything that was not original to maintain its Victorian character. 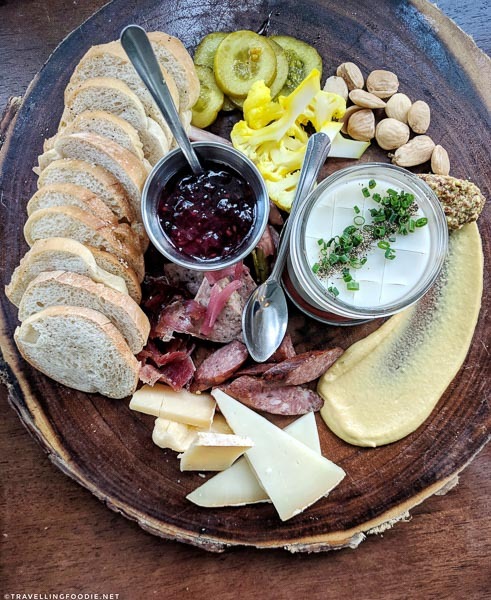 Their popular item that’s perfect for sharing is the House Charcuterie Board. The short rib rillettes is a standout on this board as it comes with a layer of fat on top that you mix with the rest of the jar to add that extra level of richness and creaminess. I keep seeing oysters done in interesting ways in St. Augustine, so I just had to try the Roasted East Coast Oysters. The house bacon lardon added a nice hint of saltiness without being overpowering. If you’re looking for that really Southern taste of cajun/creole, I highly recommend the Local Caught Fish. It comes with very flavourful crawfish etouffee, a Cajun-style stew made by smothering seafood with a buttery rich sauce made with roux served over rice (in this case, rice middlins). It was my first time having rice middlins, or rice grits. The texture reminded me of risotto. 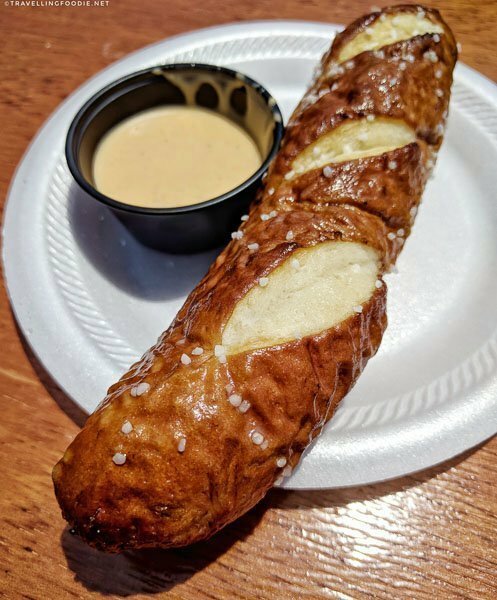 One thing I was most surprised to learn about St. Augustine’s food is they have their own signature clam chowder called the Minorcan Clam Chowder, created by Minorcan settlers who came to Florida to work as indentured servants on New Smyrna Beach’s indigo plantation. What makes it unique? It’s deep red in color because it uses a tomato base. But the main thing about Minorcan Clam Chowder is it uses a key ingredient called datil pepper that gives a spicy kick. Did you know? Datil pepper is a popular locally grown product in St. Augustine. It is hotter than jalapeno, but less than habaneros. 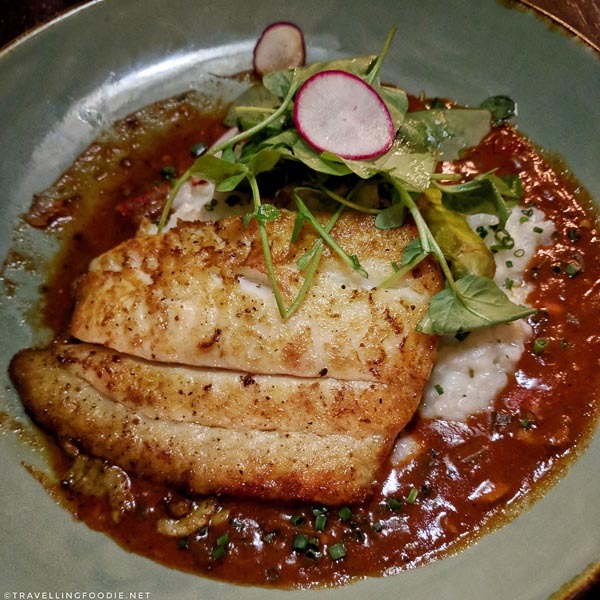 We went to Catch 27, a fresh-catch seafood restaurant in the historic district. All their seafood are caught fresh and locally in Florida. Even the fish, shrimps and clams are caught in Florida waters daily. That’s why we definitely wanted to try the Minorcan Clam Chowder here. 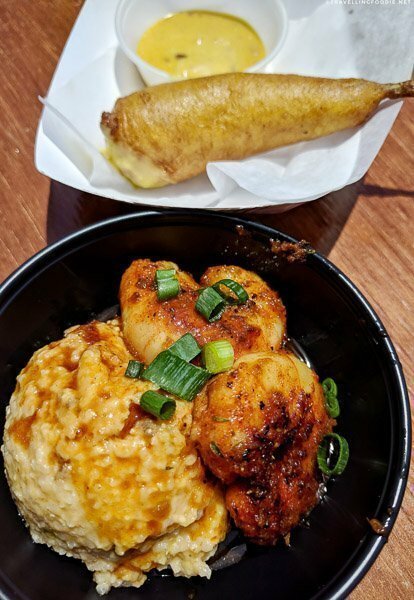 Be sure to also try their Deviled Egg BLT with Southern Fried Oysters as well – I told you there’s so many unique oyster dishes here! 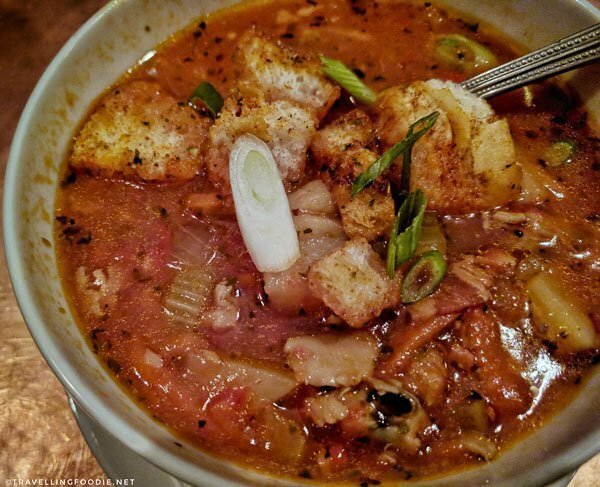 For someone who love New England Clam Chowder, Minorcan Clam Chowder is definitely a different experience to get used to since it is more of Manhattan-style chowder. I definitely enjoyed the spicy kick the datil pepper brings, but still prefer the creaminess and none tanginess of the New England version. Definitely worth a try to taste something truly St. Augustine! If you share the same chowder preferences as me, a local told me I would probably enjoy St. Augustine Seafood Company because they serve one called “Half & Half” that combines Minorcan Conch Chowder and New England Clam Chowder. I wasn’t able to try this, so do let me know what you think! I still think you have to try the original because you still have to try the real thing, but then also try this one to see which one you like more. 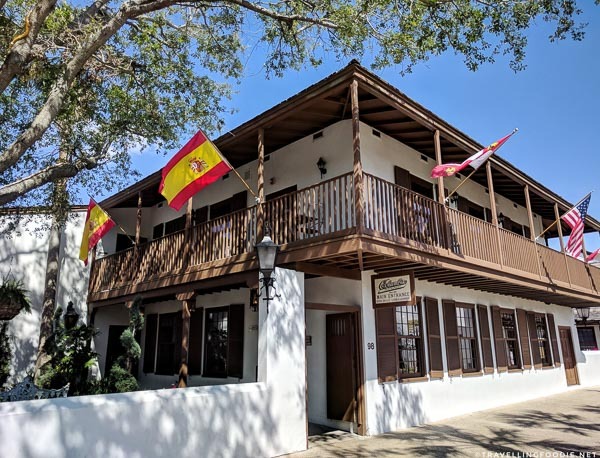 Just by the Plaza de la Constitucion in St. Augustine’s Historic District, you’ll find Aviles Street, the oldest street in the United States. It’s not hard to miss because the entrance is denoted by a stone archway. This historic brick street is home to St. Augustine’s arts district with several galleries. The street was renovated and became sidewalk friendly allowing outdoor seating from independently owned restaurants and cafes. 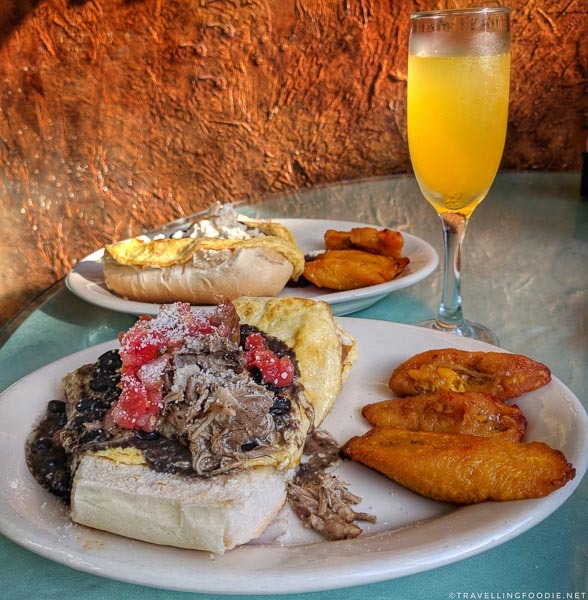 We went to La Herencia Cafe, a traditional Cuban cafe serving Cuban food from family recipes. They are known for their all day breakfast as well. We went here for breakfast, and I tried the Guajiro, which has a delicious mix of ingredients I wasn’t expecting to have for breakfast. 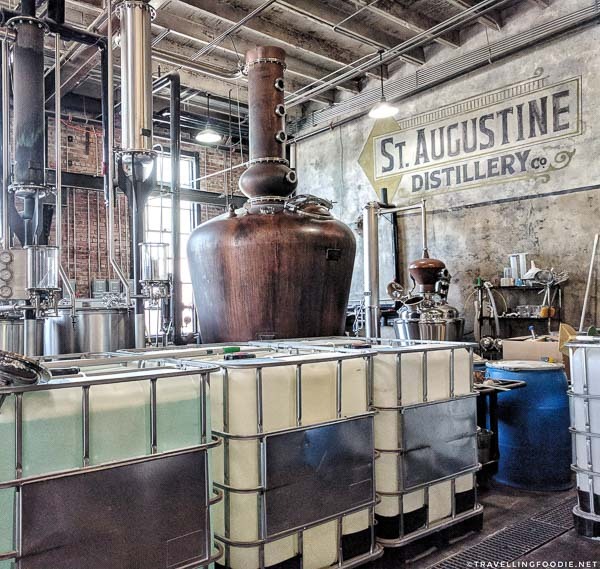 Housed in a historic 1920s ice manufacturing plant, the St. Augustine Distillery produces a variety of spirits including vodka, gin, rum and bourbon. They have free tours and tastings that begin every half-hour on Monday-Sunday from 10:30am to 5pm. Our tour guide, Brian, was very knowledgeable about the history and distilling process while adding a bit of comedy in his delivery. After the tour, we were able to sample four different cocktails that use each of their spirits: Florida Mule for vodka, Rum Tiki Cocktail for rum, Grapefruit Hibiscus for gin, and the Old Fashioned for bourbon. We also got to sample their Double Cask bourbon and limited edition Port Finished bourbon, which is aged using port wine barrels from St. Augustine’s San Sebastian Winery. A – American. Bourbon should be distilled in the US (not just Kentucky as this is the common misconception). B – Barrel. Though it can be any container, not just necessarily a barrel, it should be made of oak, brand new, and charred inside. C – Corn. Bourbon must be made with at least 51% corn. 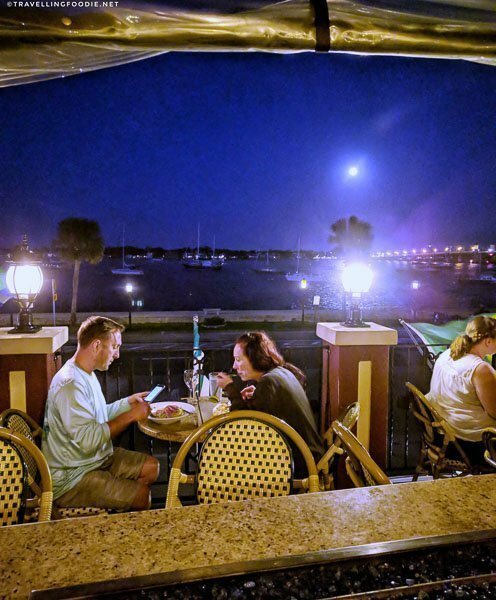 There are a lot of restaurants in St. Augustine’s historic district that has views of the Matanzas River. We went to Meehan’s Irish Pub & Seafood House at night. 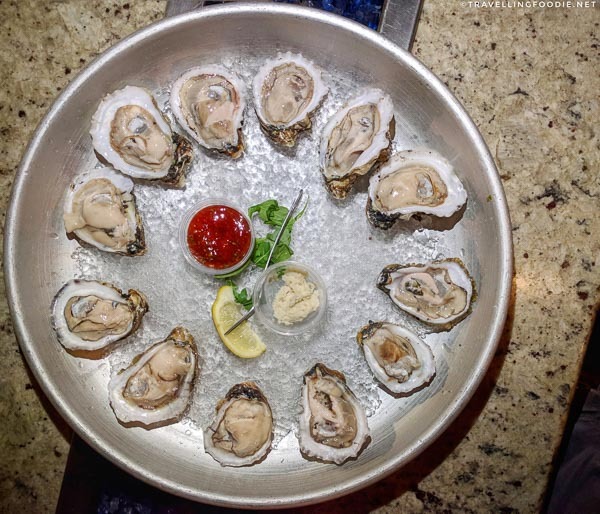 Travelling Foodie Tip: Head upstairs to Johnny’s Famous Oyster Bar at Meehan’s, and onto balcony for fresh air and beautiful views as you dine. When you reach the second floor, you’ll see their display of fresh raw bar selection. I was very fortunate that the local St. Augustine oysters were available that night! I definitely had to try them, and they were so fresh and delicious: mid-sized, creamy in texture and quite sweet. 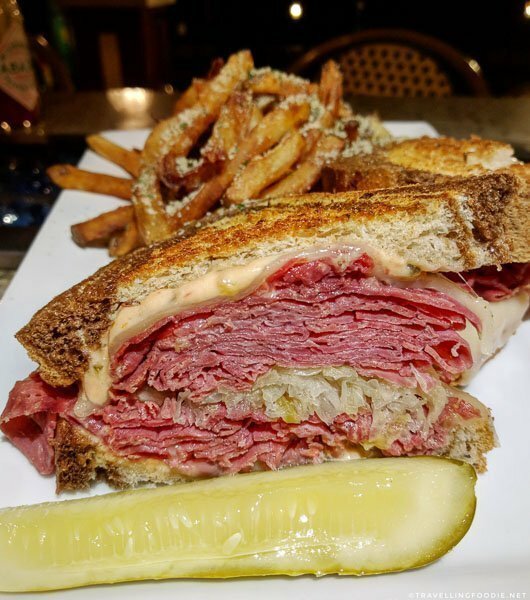 Being an Irish pub, you have to try their Reuben Sandwich, which was piled high with very marbled and flavourful corned beef. 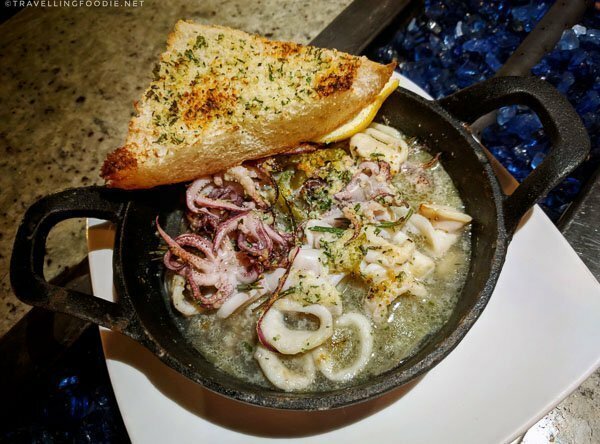 If you like calamari, you’ll definitely want to try the Cast Iron Calamari here as it’s pretty unique. Served on a hot cast iron which withstood the cold night we had, the calamari was very flavourful with the burst of lemon garlic and fresh herbs. The squid was so fresh that I can still taste the squid even with the sauce they had on the skillet. Being on the coast, sailing on the waters is a great way to explore the city. 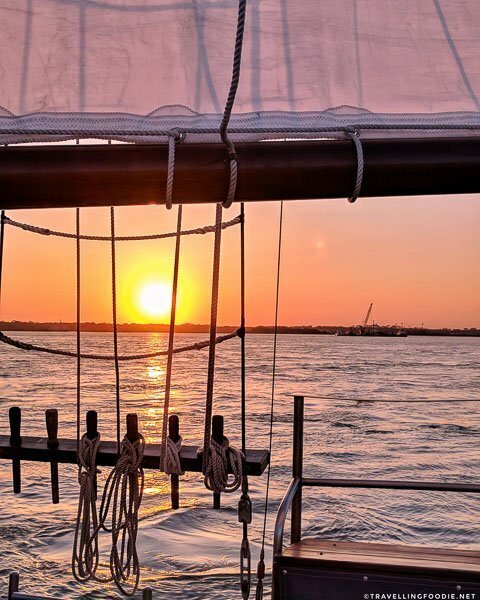 I did the sunset sail aboard Schooner Freedom, and it was such a great experience! Did you know? Freedom is an authentic replica of a 19th century blockade-runner. 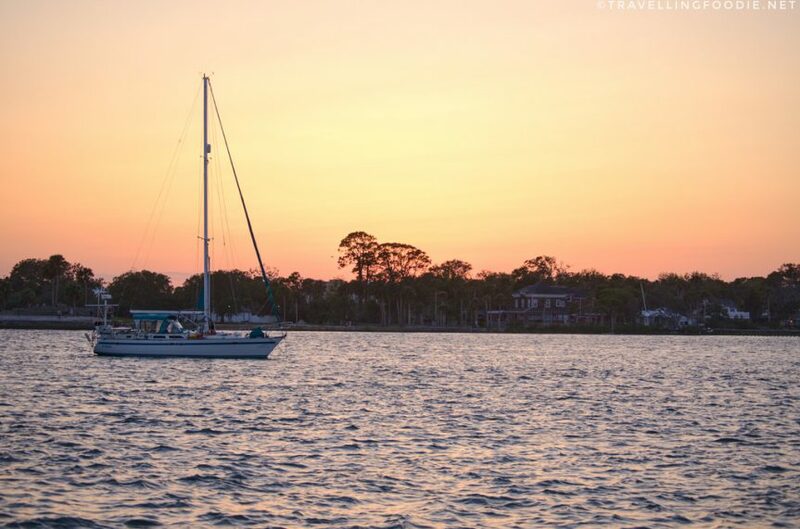 Imagine sailing for two hours, spotting some dolphins (if you’re lucky), and admiring the sunset while sipping wine (or your drink of choice) and having fun conversations with the passengers… That’s the life right there! Travelling Foodie Tip: If you also want to learn some sailing, passengers are more than welcome to help set sail and maybe even take the helm. During our sail, we were also very fortunate to have seen the Pink Moon. When in St. Augustine, you can’t miss St. George Street, the most touristy street in the city. This pedestrian-only brick street spans four city blocks filled with shops, restaurants, museums, hidden courtyards and a lot of history. One thing you’ll notice strolling the street are all the bars and taverns serving sangria. We went to Sangrias Wine and Tapas Piano Bar for their specialty sangrias. They have a beautiful balcony which overlooks St. George Street so you can see all the action. Travelling Foodie Tip: They offer live music mostly every night. Havana Banana Sangria ($9) – white wine, white port, the flavors of rum, banana, orange, and pineapple. Garnished with banana slices. 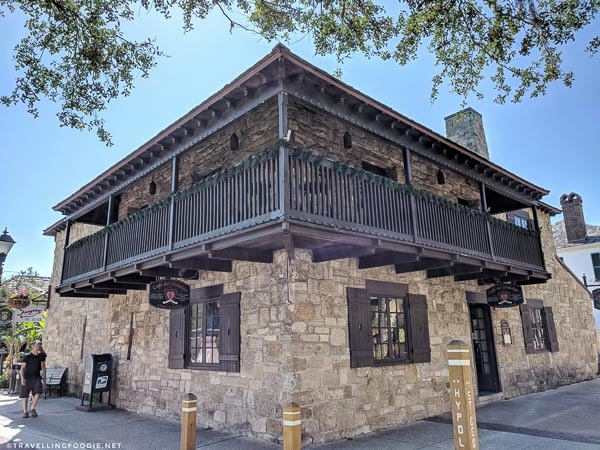 St. Augustine’s history is also built in luxury. 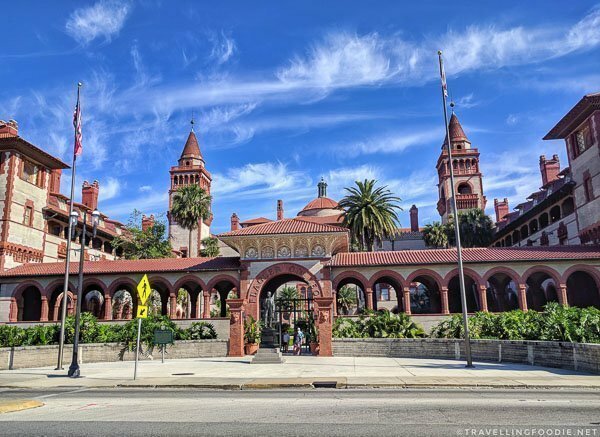 In the late 1800s, the city was a frequented resort destination for the rich thanks to Henry Flagler opening the Ponce de Leon Hotel and the Hotel Alcazar. 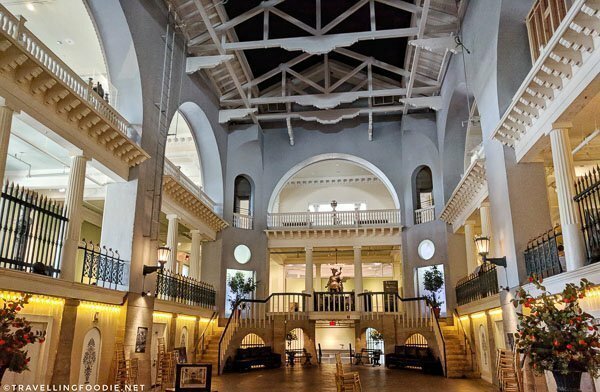 An 1887 Spanish Renaissance Revival style building, Hotel Alcazar had the largest indoor swimming pool in the world at that time. The hotel is now the Lightner Museum, but the swimming pool has been transformed into Cafe Alcazar for people to enjoy a unique dining experience surrounded by history. 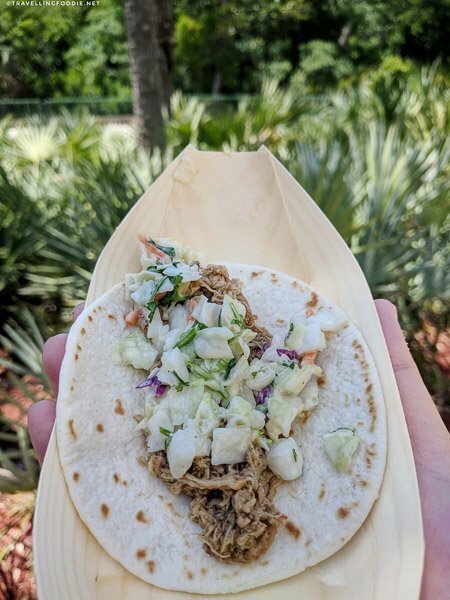 Travelling Foodie Tip: Get a 10% discount when you bring your Lightner Museum entrance ticket! Want to combine eating, drinking and touring? 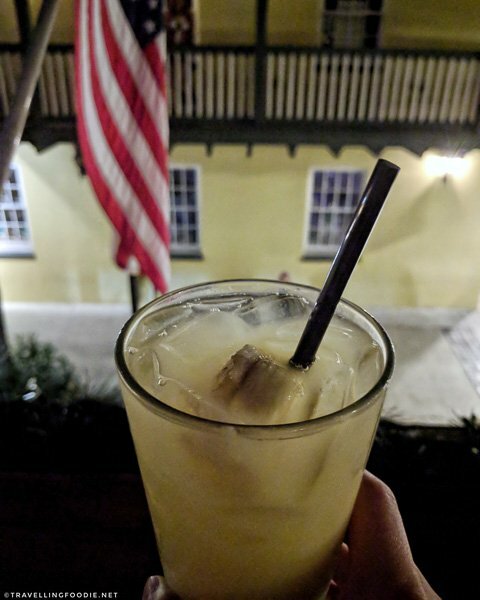 You’ll want to check out The Tasting Tours, voted best “crawl” in St. Augustine by Travel and Leisure Magazine. Unlike other food tours that just take you to various restaurants, this 3-hour walking tour also takes you around the city where you’ll learn something fun and informative. Our tour route took us around Flagler College, Casa Monica, Lightner Museum, Aviles Street, Plaza de la Constitucion, and St. George Street. Used to be Ponce de Leon Hotel, the Flagler College has 79 original Tiffany stained glass windows which are bullet proof. 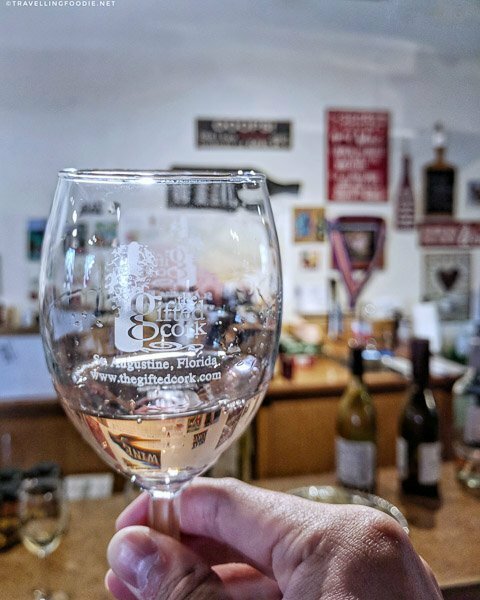 We did the Corks and Forks Pairing Tour (food and wine) with our tour guide, Molly Verlin, who is very knowledgeable about St. Augustine, the arts and architecture with her background in art history. The great thing about this tour is we got to do some of the things already in this list, including dining at Cafe Alcazar and dining along Aviles Street. Stop 1: The Gifted Cork. This was the tour meeting point and also the first stop. Here, we were able to sample four different wines of our choice based on a selection of California wines. It was paired with three kinds of cheeses: champagne, asiago and gouda. The end of the tour brings you back to the Gifted Cork where you get to take home the wine glass as souvenir. Stop 3: Cafe Alcazar. 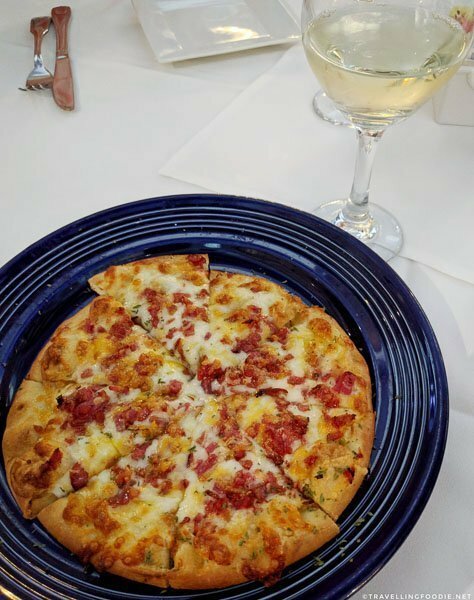 We shared a Hummus Salad and Italian micro pizza with a glass of white wine. Stop 4: Gaufre’s and Goods along Aviles Street. We had two kinds of pierogis and fresh sugar waffle with a glass of white Banatski (Serbian) wine. 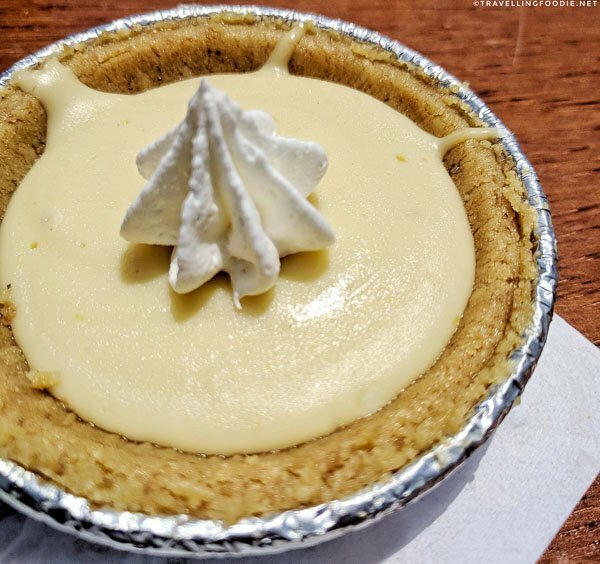 Stop 5: Peace Pie along Aviles Street. 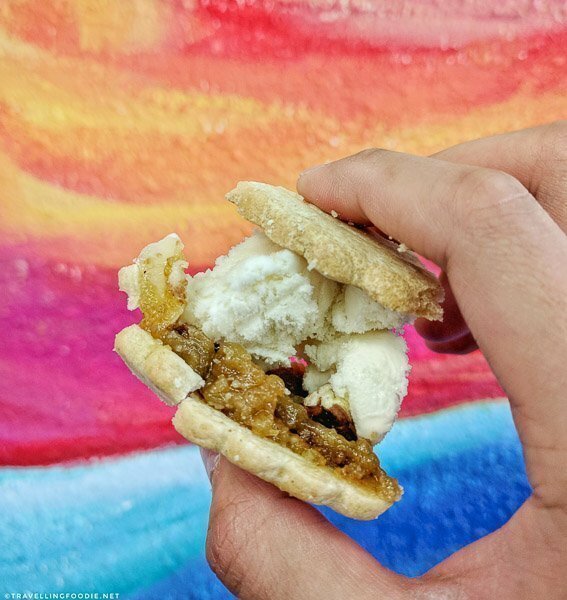 We sampled three of their ice cream sandwiches: Pecan Pie, Salted Caramel Brownie and Chocolate Mint. 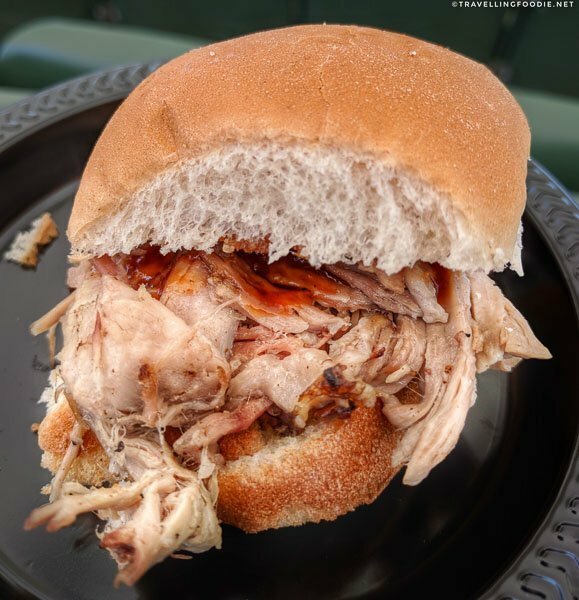 With an abundance of fresh seafood year-round, a diverse culture rooted in history, and a strong Spanish influence, St. Augustine’s food festivals are also quite diverse and unique. 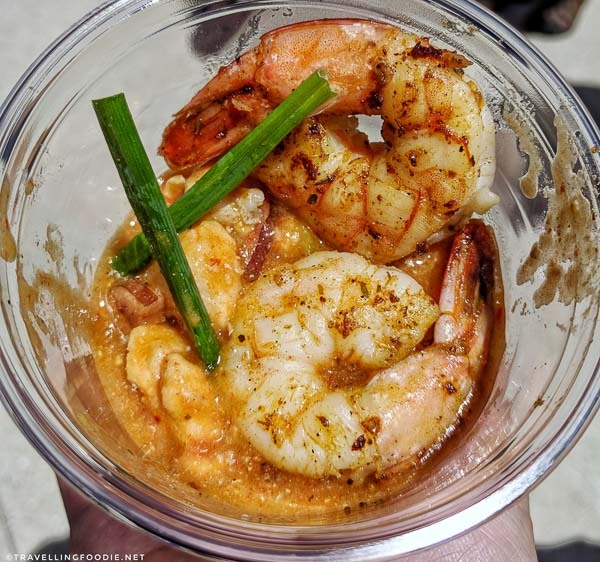 Examples of which include the St. Augustine Spanish Wine Festival in September, Datil Pepper Festival in October, Annual Great Chowder Debate in November, and the Lions Seafood Festival in March. During my visit in April, I had the opportunity to attend the 22nd Taste of St. Augustine Festival at the St. Augustine Amphitheatre. All proceeds of this annual fundraising event goes to EPIC Behavioral Healthcare to support substance abuse prevention, intervention, outpatient treatment and aftercare services. 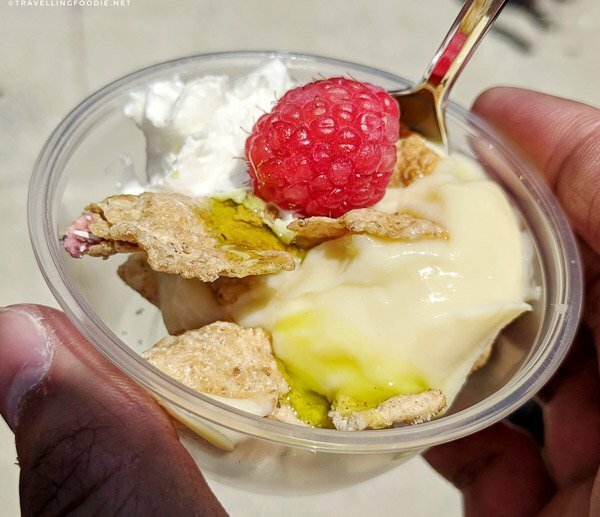 The festival featured local tastes from over 25 restaurants and vendors with live music and other activities. Entrance was $5, and food range from 2-5 tickets (1 ticket is $1). My two favourite dishes were the gator & shrimp creole from Raintree Restaurant and blackened shrimp & grits from South Beach Grill. 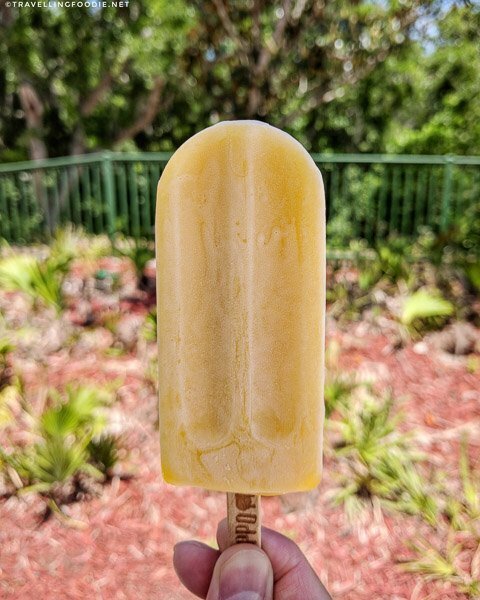 I’m glad I got to try the popular gourmet ice pops from The Hyppo which are all-natural and handmade. They didn’t have the toasted black sesame that I initially wanted to try, so I went with the mango champagne, which was actually better because the tropical taste made it so refreshing on the hot day. It’s surprising how long these ice pops last under the sun. I took it out for pictures in the heat for about 5 minutes, moving to different areas, and it didn’t even melt. 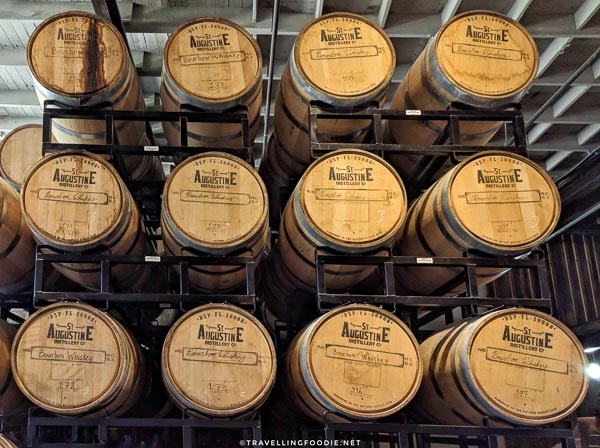 Now you know what to do, and where to eat and stay in St. Augustine, Florida! Huge thanks to St Augustine, Ponte Vedra, & The Beaches Visitors and Convention Bureau for sponsoring this post. As usual, reviews and opinions are entirely my own. You can learn more about Florida’s Historic Coast thru their website, or find them in Facebook, Twitter and Instagram. 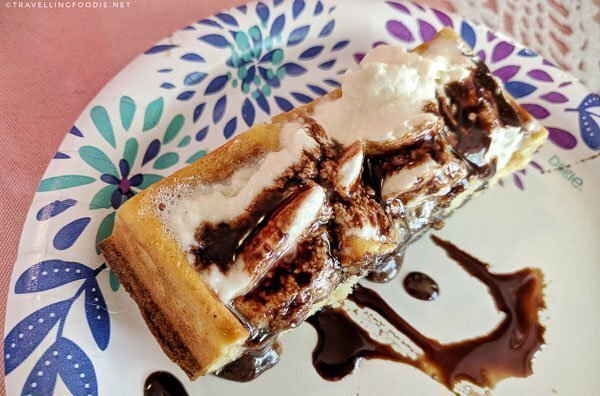 Posted on May 14, 2018 January 1, 2019 by Travelling FoodiePosted in Florida, Food, St. Augustine, Travel, USATagged accommodations, events, food trip, guides, products, restaurants, sights and landmarks, tours. Oh my goodness look at all that food! I am a foodie too! And that is quite different calm chowder eh? Never seen it in a red sauce before! I’m ready to pack my bags and go! Looks perfect! You’ll love it there! Such a unique place! As a local and a foodie, I congratulate you on your choices and comments You really covered it! Taste Life. Enjoy the World Around You. 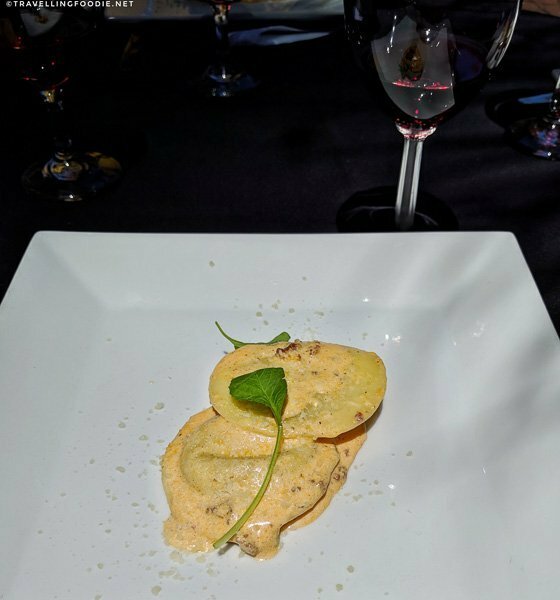 Travelling Foodie is a Food & Travel Blog featuring food and drinks, travel and nature, lifestyle and events from all over the world, especially in Toronto! The blog focuses on where to eat, things to do, where to stay, and events to attend wherever you go!